Since its launch with Windows 10, Edge has failed to gain much market share. The first iterations of Edge were extremely barebones, offering little more than a basic tabbed browser—no extensions, little control over behavior. 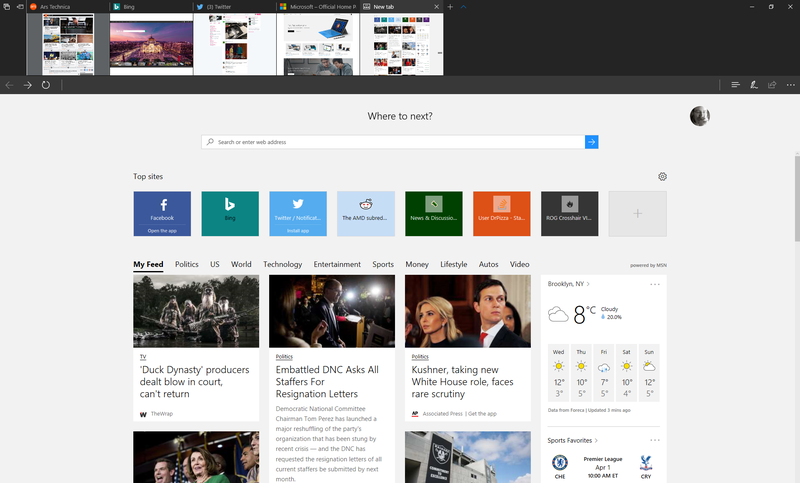 Early releases of Edge were also not as stable as one might have liked, making the browser hard to recommend. Three years later on and Edge is greatly—but unevenly—improved. The browser engine’s stability seems to be much better than it was, and performance and compatibility remain solid (though with the exception of a few corner cases, these were never a real concern). What has consistently let Edge down is the stuff around the engine. Tab handling remains rudimentary, for example; it’s still all too easy to make Edge lose my meticulously pinned, organized tabs, presenting me with an empty browser window. Cross-device syncing falls short of that provided by Chrome. Chrome’s integrated password manager is vastly superior to Edge’s. The number of extensions available is limited (though this is a little double-edged; Microsoft’s carefully vetted set of extensions sidesteps the significant issues that Google has had with malicious Chrome extensions). Swapping out the engine does exactly nothing to remedy these problems. It’s not EdgeHTML and Chakra that are preventing Microsoft from providing a really first-rate browser interface; it’s the fact that Microsoft hasn’t prioritized this work. There’s nothing magical about Blink or V8 that makes the Chrome password manager better than Edge’s; it’s just that Google has taken the time to do the work. 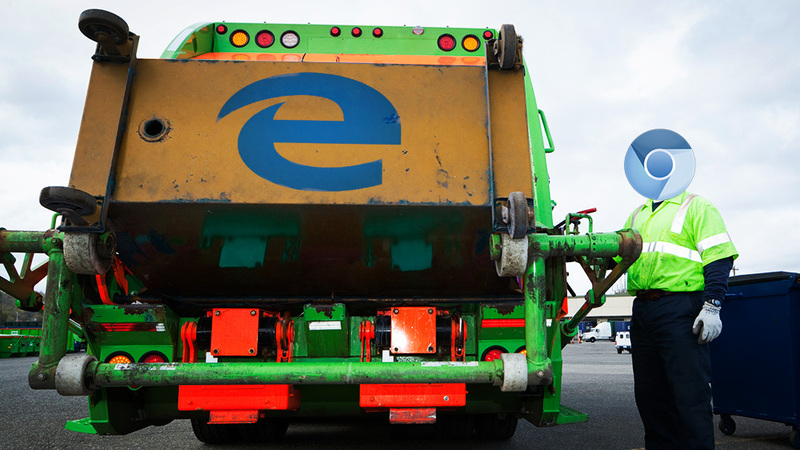 If Microsoft does this work for Anaheim, one wonders why it didn’t bother doing so for Edge. Conversely, if Microsoft doesn’t bother doing this work for Anaheim either, then who even cares? Users would be better served by sticking to Chrome anyway. In spite of these weaknesses, Edge does have its own high points: its resource usage seems to be fairly consistently lower than Chrome’s, leading to much better battery life on mobile devices. Switching to Blink and Chromium will squander this advantage. Microsoft has also developed a number of compelling security features for Edge that don’t exist in Chromium. A switch to Blink also raises the specter of a return to Internet Explorer 6’s heyday, when Web pages were designed not for Web standards, but specifically for the quirks and oddities of Microsoft then-dominant browser. The desktop will be owned by Blink, with the mobile space split between Apple’s WebKit and Android’s Blink.